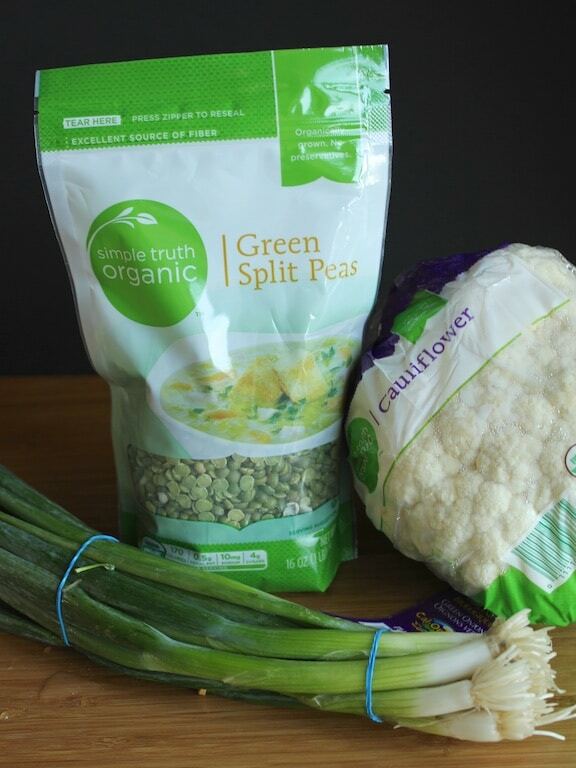 This Vegan & Gluten-Free Coconut Cauliflower Stew gets made in the slow-cooker and is a perfect plant-based meal. I use my slow-cooker in the summer to keep my kitchen cool, but I’m rely on it in the winter for hearty meals that don’t take a lot of effort. I find that one-pot cooking just makes it so much easier to eat whole, healthy foods, plus I like to make a LOT at one time so I have enough for leftovers. Today’s recipe features ingredients from the pantry, plus a few grocery essentials that shouldn’t be too hard to find. You might even have them all hidden in your cupboards. 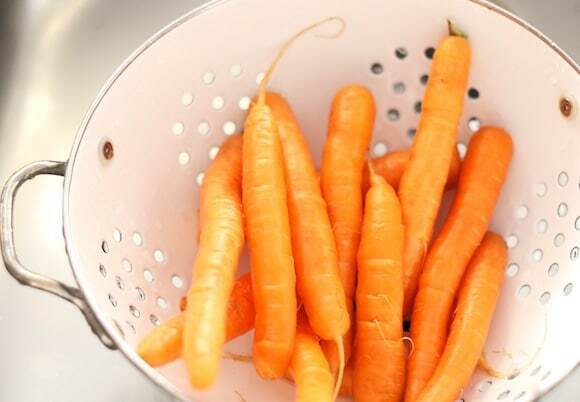 Luckily, fresh carrots are easy to find at any time of year. This recipe is simple and nourishing at any time of year. 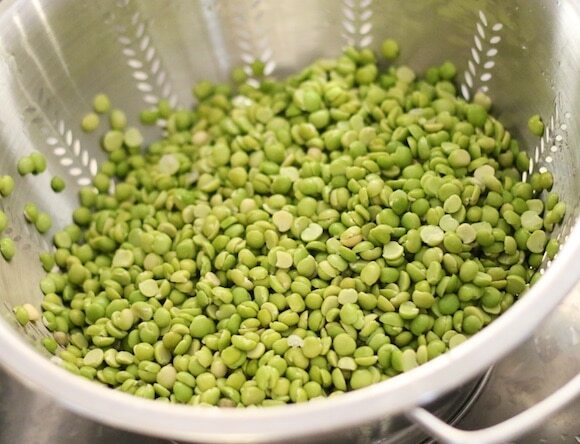 Rinse and drain the split peas and add to a medium or large crockpot. Add the onions, cauliflower, carrots, tomatoes, and dried herbs to the pot. 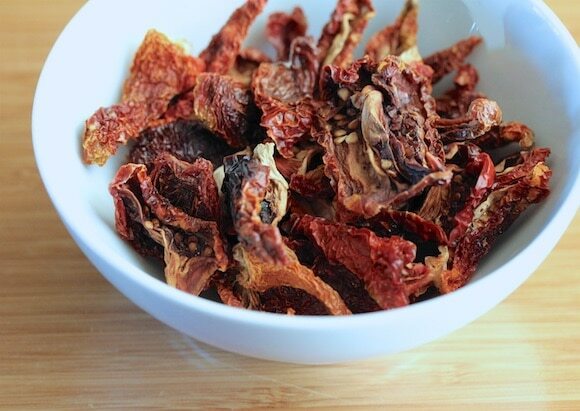 Rehydrate the sun-dried tomatoes by placing them in a small bowl and pouring hot water over them. After about five minutes, carefully drain and discard the hot water. Place the re-hydrated tomatoes in the crockpot with the other ingredients. Pour the broth and water over the ingredients. Don’t worry if all the vegetables aren’t covered, they will break down during the cooking time. Place the lid on the crockpot and cook on low for 6-8 hours. Once the time is up, pour in the can of coconut milk and use a large spatula to stir everything together, gently breaking up the cauliflower. If you want a thicker texture to the stew, use a hand immersion blender until the stew has the texture you like. 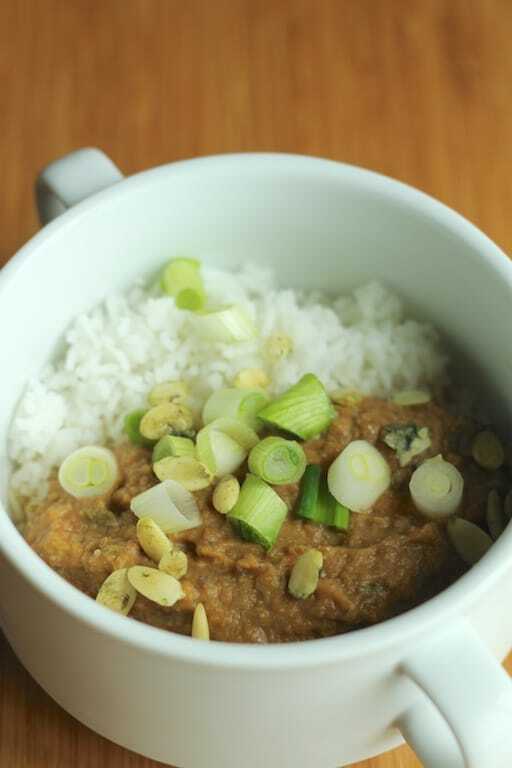 Serve the stew hot, topped with chopped scallions and pumpkin seeds, if desired. For added intensity of flavor, I also recommend squeezing a bit of fresh lemon over the top of the stew. 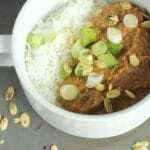 The stew is also great served with cooked white or brown rice. The nutrition info doesn’t include rice served with the stew. I made this stew yesterday. It cooked all day, making the house smell lovely. And it tasted wonderful! Thank you for such a great recipe! Ohhhh, thank you for letting me know, Lisa, I so appreciate the positive feedback. Did you get my e-mail back to you last week? I have been having trouble with my outgoing messages going to spam, but wanted to make sure you got it. XO. This sounds super delicious! And so much protein!!! I love it. I sometimes forget how awesome sauce lentils are. They are the unsung hero of the plant based protein world. I have to admit that I do not miss Canadian winters one bit! Thanks, Kimmy!!! I agree, lentils are amazing and they have so many B vitamins, too. I am kind of in love with them right now. 🙂 BTW, I miss you already, I wish you were here to go for a beach hike with me today. XOXOXO. 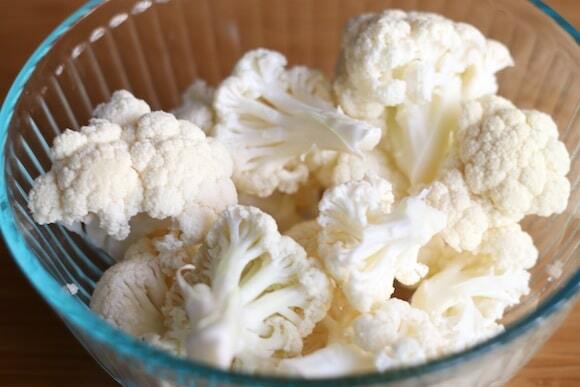 The Crockpot Coconut-Cauliflower Stew sounds wonderful. I’ve saved it for future cooking. 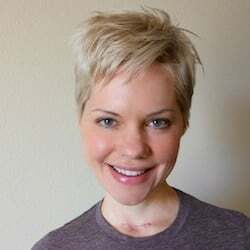 Thanks Carrie, for sharing this recipe!